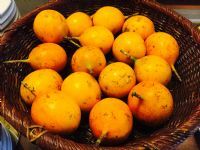 Costa Rica has a reputation for its natural beauty, its diverse animal population (including yours truly) and its wealth of opportunities for fun and adventure. 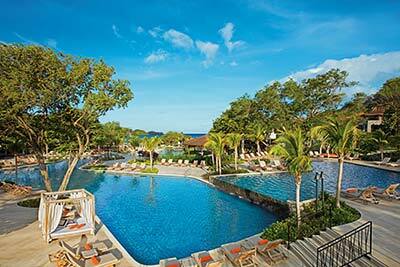 For many visitors of the Central American paradise, that fun and adventure includes 18 holes of golf. 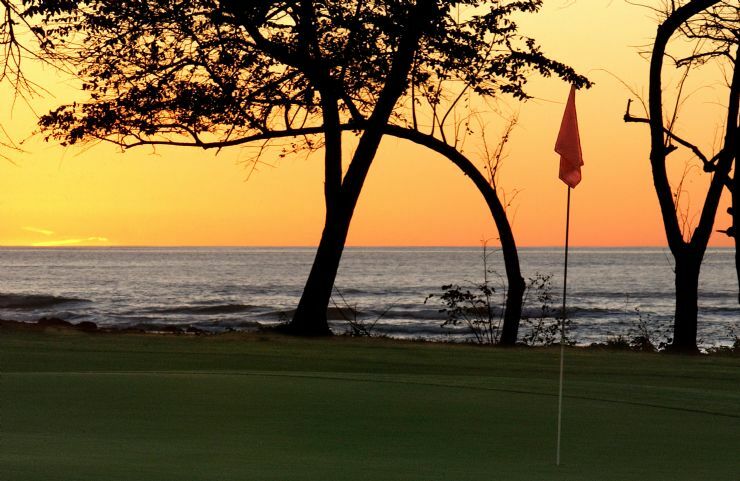 While my homeland has plenty of beautiful courses where old pros can work on their short game, there are also plenty of places for beginners like myself to learn the Gentleman's Game when they visit Costa Rica. Let's get hopping and check out some of the best places to learn golf in the country. 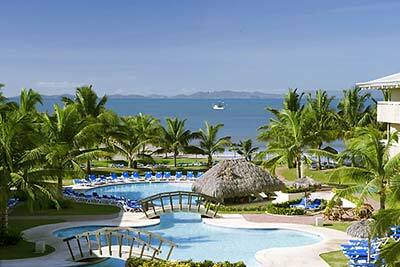 For those travelers heading to the beautiful province known as Guanacaste, the Hacienda Pinilla Golf Resort is a great place to begin your educational experience on the links. 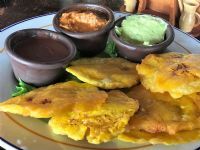 To reach this excellent course, drive west along Route 160 toward Veintisiete de Abril, then head north on Route 152 toward Santa Rosa. The road to this secluded beachside course splits off just before you reach Santa Rosa. This 7,300-yard, par 72 course was designed by Mike Young with an eye toward the region's natural beauty. The area has been certified as an Audobon Cooperative Ecological Sanctuary, reflecting its commitment to the local scenery - which makes a great background to your first golfing experience. 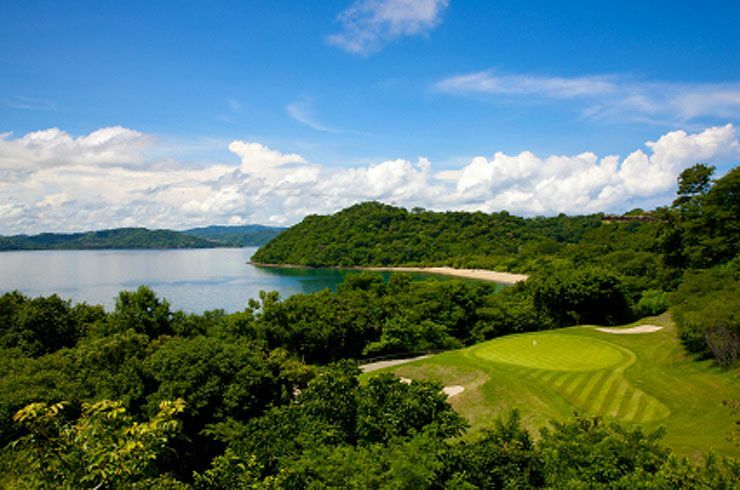 The on-staff pros make learning on this course a blast, and its smooth layout and expert design make Hacienda Pinilla one of the best places for aspiring golfers to perfect their swing. Now if only they taught tree frogs. 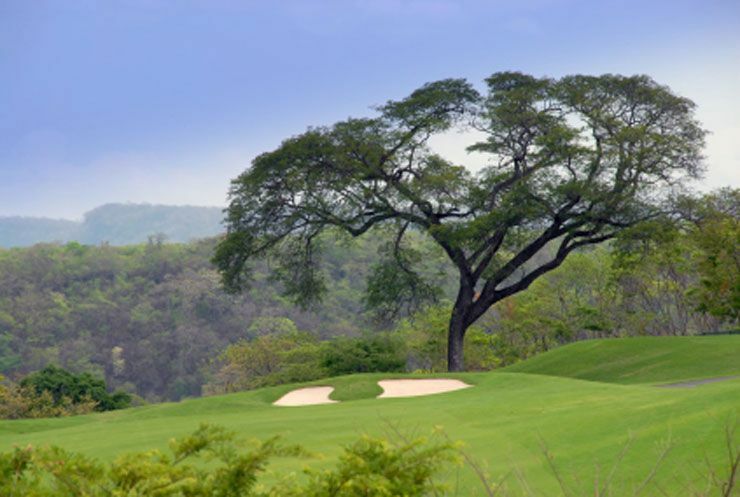 Would-be linksmen who have an eye for luxury might want to head to Northern Guanacaste's Four Seasons Hotel and Resort, home to an Arnold Plamer-designed course that was listed among "The Top 100 Courses Outside of the United States" by Golf Digest. 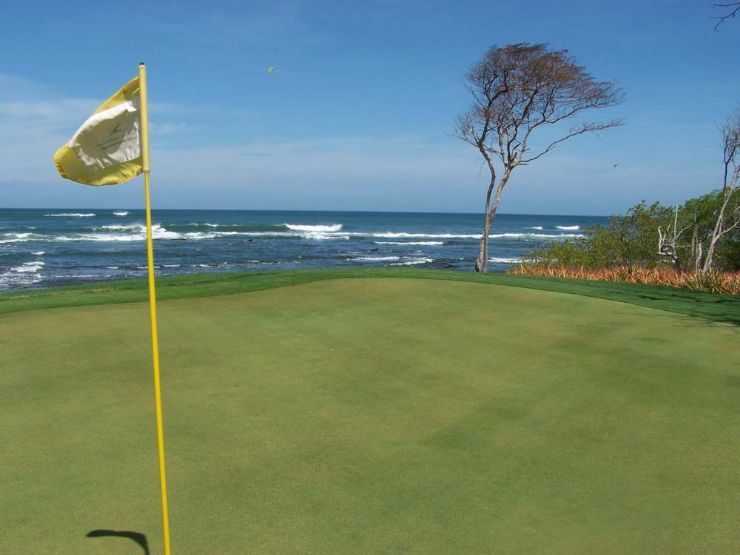 Boasting spectacular views of the Pacific Ocean and Bahia de Culebra, the course is a great place to learn thanks to its talented teaching staff. Headed by Rod Cook, a tenured PGA professional with more than 20 professional wins, the resort staff will help you shoot like the pros and teach you the difference between a "flop shot" and a "fade". 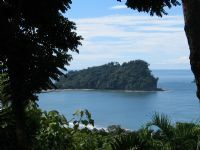 To get here, take Route 21 toward Buenos Aires from Liberia, then head north along Route 253 toward the Papagayo Peninsula. 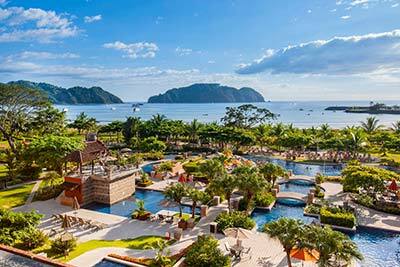 Recently named one of Conde Naste's top four golf courses in the world, the secluded Westin Reserva Conchal resort in Guanacaste is a golfer's paradise. 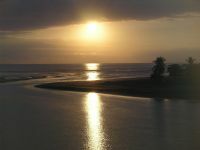 To reach this world-class course, drive southwest from Buenos Aires along Route 911 toward Playa Prieta before heading south on Route 180 toward Brasilito. This stunningly beautiful course features some very challenging holes, including a tricky three-par 17th hole that will test the skill of even the most experienced linksman. 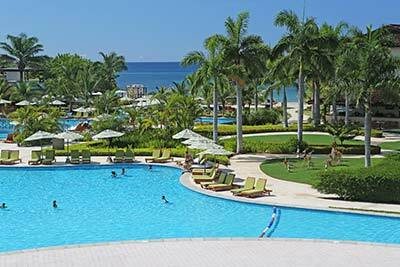 The course was designed by Robert Trent Jones II, and makes innovative use of cunningly placed sand and water traps. The location of the Westin Reserva Conchal resort means that it can get pretty hot around midday, especially during the dry season, so an early morning round may be preferable for some golfers.